17 Sustainable Development Goals by the United Nations. A fifteen-year, multi-trillion-dollar endeavor to leave the world markedly better than we find it today. That’s a big challenge and challenge accepted! We (Taylor & Francis Asia Pacific) are collaborating with libraries (you) to educate our future generation on Responsible Consumption and Production, Climate Action and Life on Land. Starting from Asia, we are partnering with OneTreePlanted Inc. to start an initiative for libraries to make this positive impact with your great book selections on Agriculture, Development, and Environmental Studies. Because it affects all of us too. Deforestation is threatening the lives of millions of people who depend on forests for daily livelihood, like food, medicines and shelter. In Asia, Indonesia has the highest rate of deforestation. Our neighbor has already lost 72% of their intact forests. So, for a start, we will be planting trees in Indonesia! We will plant a tree in the name of your institution for every book your library orders from the campaign catalogue. No minimum order required. 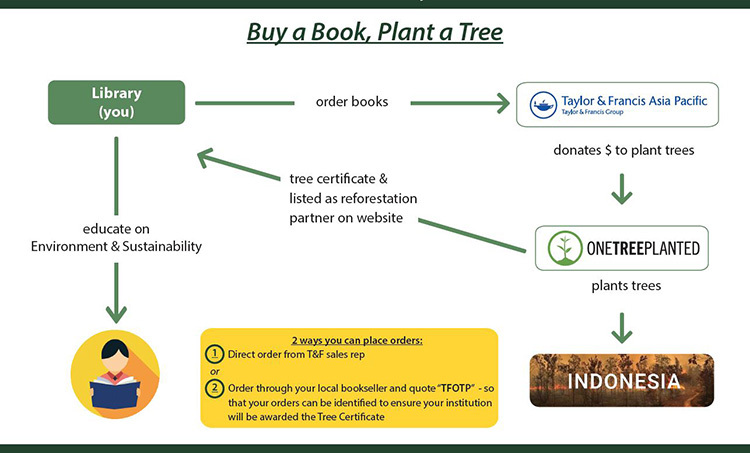 For example, if your library orders 100 books from the campaign catalogue, 100 trees will be donated by Taylor & Francis Asia Pacific and planted by OneTreePlanted Inc.
OneTreePlanted Inc. will plant the trees in Indonesia, Central Borneo, Tanjung Puting National Park, which was damaged by forest fires in 2015 (30,000 Ha was destroyed). Quote campaign code TFOTP when you send in your orders! 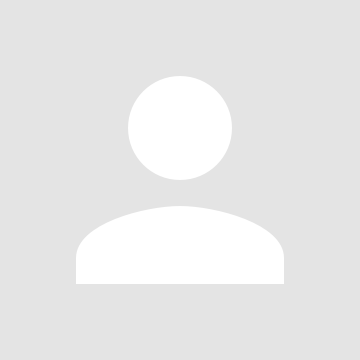 Taylor & Francis Group publishes books for all levels of academic study and professional development, across a wide range of subjects and disciplines. We publish Social Science and Humanities books under the Routledge, Psychology Press and Focal Press imprints. Science, Technology and Medical books are published by CRC Press.